A native of Ogidi in Anambra State, Professor Achebe made a distinctive contribution to the development and sustenance of African Literature. Author of the famous ‘Things Fall Apart’ and several other books adopted as prescribed reading texts for Literature in schools, his writing style encouraged the strength of story-telling as a channel for building the history banks of the African ways of life in diverse instances. His recent work ‘There Was A Country’ is a mixture of his experience and a chronicle of the Nigeria-Biafra civil war. A David and Marianna Fisher University Professor and Professor of African Studies at the Brown University, Achebe has been a Commonwealth Poetry Prize winner and a finalist for the 1987 Booker Prize for one of his works, ‘Anthills Of The Savannah’. In 2007, he won the prestigious Man Booker International Prize. My encounter with Achebe’s great works started when I first read ‘Chike And The River’ when I was about 11 years old! The book ‘grew’ my inquisitiveness and I felt like going to see the River Niger myself and probably have a peep into Chike’s experience. As I grew older and read ‘Things Fall Apart’ as one of our reading texts in my second year of high school, I practically got hooked! I went ahead to buy and read his other books; ‘No longer At Ease’; ‘Arrow Of God; ‘Man Of The People’, which is one of his books I came to love so much. When I started doing critical writing as a course in the University and reviewed Literature books including Achebe’s, I came to the full understanding of how perfectly Achebe worked through his books to fit into every generation’s thoughts and life. He was able to develop the right language and character to suit each group. He didn’t just describe a thing for people to understand, he laid it bare as it was within a particular bracket and his readers never had to struggle to flow with his stories. 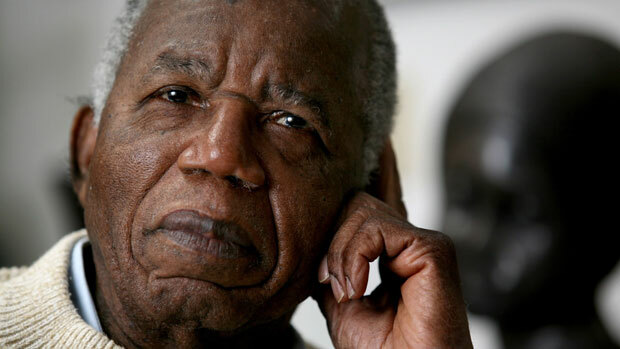 Achebe may have passed on, but those who have a copy of any of his works, have a treasure chest of the knowledge he shared.